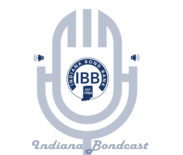 New podcast packed with guests including Bradley Bingham and Bruce Donaldson from Barnes and Thornburg and Rachel McIntosh of LISC Indianapolis to discuss Opportunity Zone regulations, important dates, qualifying capital gains, new housing tax credits, TIF, the Opportunity Investment Consortium and much more! We live to foster an Indiana where the limit of Hoosier possibility is unbound from geography. Where a statewide fabric of thriving local communities lay the foundation for all Hoosiers to achieve lives of personal fulfillment. In Flipping Finance Challenge 2019, we will convene Hoosiers with diverse skills and subject matter expertise in one collaborative environment to create solutions to complex local challenges. 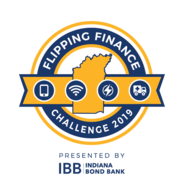 Indiana Bond Bank’s first ever Flipping Finance Challenge, a public-finance focused innovation summit..
See a message from Executive Director , Mark Wuellner and join our FFC2019 Email List to stay updated on all information related to dates, times, and challenges. On December 12, 2018, Treasurer of State Kelly Mitchell presented former Indiana Treasurer Marjorie H. O'Laughlin with the Sentinel of the Vault award. This presentation occurred during a scheduled Indiana Bond Bank board meeting of which former Treasurer O'Laughlin is a member. "Marge embodies everything about being a Sentinel of the Vault" said Treasurer of State Kelly Mitchell. "Even after her time as Treasurer of State, Marge has continued to contribute to the financial health of Indiana through her role on the Indiana Bond Bank's board." The Sentinel of the Vault Award was established by the 55th Indiana Treasurer of State Kelly Mitchell in 2018. This award recognizes individuals who have contributed significantly to the financial health of the State through interaction with the Indiana Treasurer of State’s office. Sentinels of the Vault are chosen by the Treasurer and have demonstrated excellence as fiduciaries to the public funds of Indiana and dedication to serving all Hoosiers. Marjorie O'Laughlin graduated from Indiana University with a degree in Business Administration. She served as the Indianapolis City Clerk from 1968-1972. In 1978 Marge was elected clerk of the Indiana Supreme Court as well as the Court of Appeals. Marge continued her career of public service by running for Treasurer of State in 1986. She served in that role from 1987 to 1995 as the second female state treasurer in the state’s history. Currently, there are three Treasurer of State employees that worked in the O'Laughlin administration. 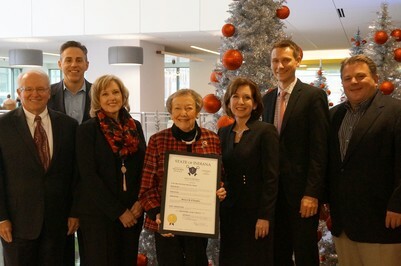 After serving as Treasurer of State, Marge became the treasurer for the Marion County Health and Hospital Corporation. IBB's Hoosier Equipment Lease Purchase (HELP) Program was established to assist communities in acquiring essential items of equipment through a standardized and streamlined lease-purchase process. 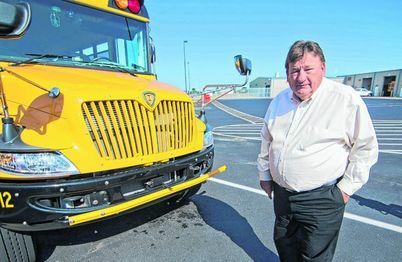 In December 2018, Clark-Pleasant School Corporation closed on a deal for a new school bus with Wayne Bank. The deal is a 1 year lease-purchase agreement with $97,740 financed at a 2.99% interest rate. Not only was Clark-Pleasant Community Schools able to obtain a competitive rate, but the Indiana Bond Bank eliminated the need to bid out the financing. "We were able to utilize the HELP program to obtain an equipment lease in a competitive environment without us having to do all the leg work" -Jay Staley, Director of Business, Clark-Pleasant Community Schools. In case you missed it, in September 2018, Clark-Pleasant School Corporation was recognized for their innovative solutions to school transportation safety. This year, Clark-Pleasant schools is testing out a new crash-preventative technology in two buses, and is the only school district in the country with the technology in their buses. The bus purchased with the IBB HELP program will also have the Wingman stabilization features highlighted in the article above. Does your community have a need for an equipment purchase? Fill out an inquiry at on our HELP webpage..
IBB's Fuel Budgeting Program provides a tool for local government to protect against market volatility by acting as insurance against rising and unpredictable fuel costs. The 2019 Fuel Budgeting Program will assist 14 qualified entities in hedging 582,744 and 1,316,348 gallons in both fuel and diesel respectively. Below are the 2019 program participants. For more information on the Fuel Budgeting Program please click here.